2500 S. Wheel Park Cir. 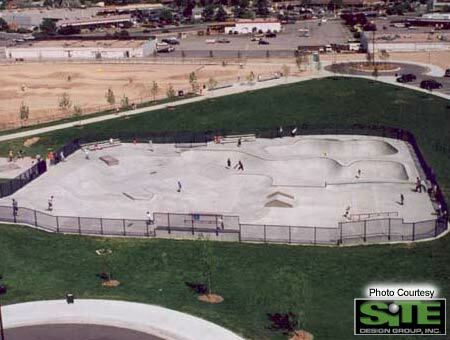 19,775 square-foot lighted concrete skatepark featuring a street skating course. 18,000 sq. 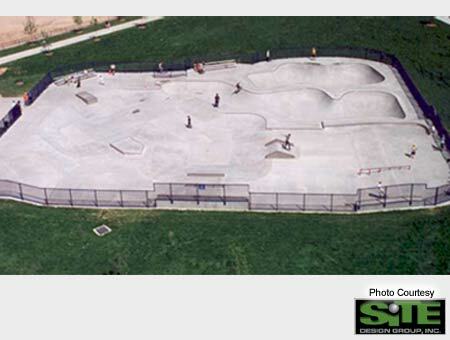 ft 10-foot bowl and a nice street skating area with various transitioned and banked obstacles. The street area is filled with 3 fun boxes of various sizes with metal coping, two metal slider bars, a wedged runway area with a hip flanked by jibs and mini transitioned hips topped with metal coping. 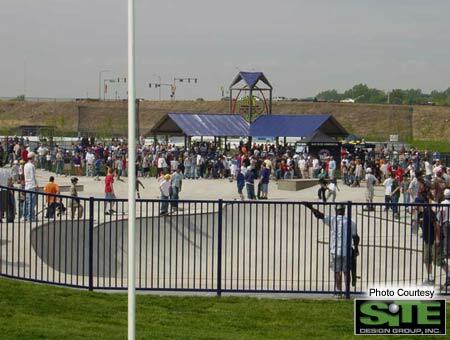 Plenty of room to avoid other skateboarders unless it gets really crowded. A fun place to spend an afternoon or the whole day. 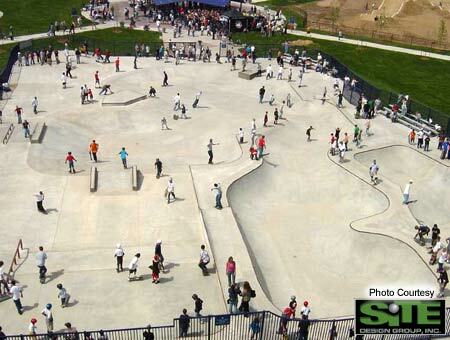 One the many skateparks by the Site Design Group. 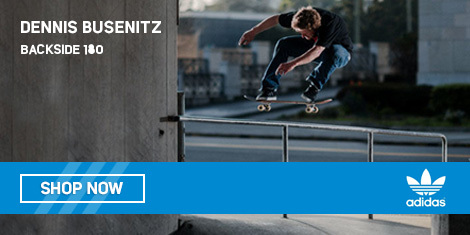 SKATE AT YOUR OWN RISK. The use of safety equipment such as elbow and knee pads, wrist pads and gloves is strongly recommended at all times. Use of this facility may result in serious injury. HELMETS ARE REQUIRED AT ALL TIMES. 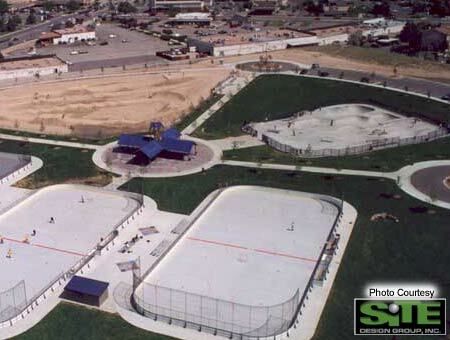 Skateboards, roller-skates, and inline skates only. NO BICYCLES OR SCOOTERS. Use caution - weather conditions may cause unsafe surfaces. No food, beverages or glass containers are permitted on the skating area. For your safety and that of others, skate under control at all times. The park is open for drop-in use except when city sponsored events are scheduled. Inappropriate behavior may be cause for permanent dismissal from the facility.